Digital Region will enable citizens, business and public sector organisations within South Yorkshire to benefit from services delivered over a world-class broadband infrastructure that will provide a level of access unprecedented in the UK over such a large geographical area. The project is set to pick up pace as this landmark initiative seeks full ratification from all partners, including Europe, UK government, Yorkshire Forward and the four local authorities in South Yorkshire during October and November 2008. Set to provide South Yorkshire with an unrivalled level of high bandwidth broadband access for all households and businesses in the region, Digital Region will represent the EU�s biggest municipal project in the world with financial backing of Yorkshire Forward and the four local authorities in South Yorkshire. The contract with Thales Transport and Security Limited, who will deliver and manage the project infrastructure, will be ready for signature in October 2008. The first customers are likely to access the new broadband network in each of the four authorities in Autumn 2009, with the full infrastructure being completed by the end of 2010. Digital Region will put South Yorkshire at the forefront of access to digital technology with a service that will outperform other the majority of UK and rest of Europe. This is well under way and will be fibre to cabinet. Still many questions, i.e. is it really going to provider fibre to the cabinet, as in a BT street cabinet. If so what is the impact with regards to BT's own plans, and which broadband providers will the consumer have access to. If it ends up as a single provider, then people may not find it appealing, i.e. home/hobby customers after a static IP address that costs say £15 a month extra. Is an odd phrase, you shouldn't really be discussing 'world's largest' and 'EU funded' as the EU is hardly likely to fund anything outside the EU and there are far larger non-EU funded municipal projects. Maybe drop the 'world's largest' stuff and replace with 'Single largest EU funded municipal project' easier to read. with a service that will outperform other the majority of UK and rest of Europe. You are mistaken thinking FTTC outperforms the rest of Europe, there are projects running FTTP at 1Gbit and there is 100Mbit+ FTTP live too. Other than that very, very good luck with this. Competition is all good and neither BT nor Virgin Media have enough of it which is why they are so content to sit on their laurel cushioned bottoms. The very same questions you raise I have already emailed to them Andrew. Still waiting on a reply...Thales the main consortium have just built a 20 million pound hi tech centre in Doncaster as the central link. It remains to be seen what the public consumer will actually get out of this. I have in the past sat on a few committees so will use those links to press for more detail as to what this means for the residential customer. If and when I get more info I will post. Wow, what a waste of EU funds. BT should have been forced to do this. Living in rural South Yorkshire I'm obviously interested in this, but I wish they would update their site more often and let us know what the latest is. 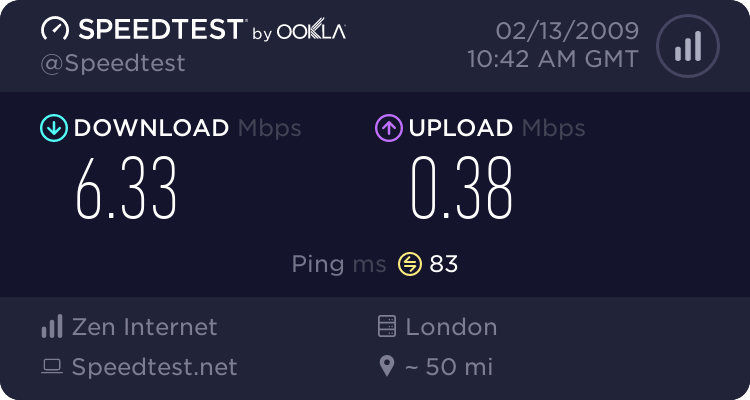 This is probably my only chance of a fast connection. case for entry using these products. The DRL Network is offering 25mb+ of bandwidth which is both guaranteed and can be delivered with a range definable Quality of Service attributes. In simple terms, this means the end user gets �what they pay for�; if the end user requires 10mb they receive a guaranteed 10mb; if they want 5mb or 25mb this is guaranteed. Some services require more than just high-speed connections: this is true of live entertainment such as sports, and critical services such as aspects of tele-medicine. The DRL Network can configure specific connections with Quality of Service attributes that allow these services to be delivered in a seamless way to the end consumer - so no stop-starting or picture-jitter for example when watching a live football match. Do these guys have any idea how expensive it is to guarantee bandwidth? How come this is costing 100mill+ to do 546,000 homes? That's a very heavy cost for FTTN, it's well within boundaries of FTTO P2P costing considering the demographics! Guaranteed over the digital region fibre network, or it will be priced such that a consumer wanting 25Mbps is paying >£50 a month. Or these are just QoS options, and consumers will get the usual 25Meg, with 50:1 or more contention. Yes I realised the stuff about a wholesale network, that makes things much less painful on them and brings costs down much more, depending on the wholesale bitstream pricing. Well then, go South Yorkshire! While I would have preferred to see FTTO/P as I'm weird like that it's definitely a firm step in the right direction and hopefully will provide a model for other municipal stimulated networks in the UK.